To many people Twitter and other social media are viewed as quite a sterile, distant, disconnected form of communication. But they don’t have to be! One of my favourite aspects of Hawke’s Bay’s large and vibrant Twitter community is the reasonably regular “Tweetups” we have. A Tweetup is a get-together, or meet-up for local twitterers. It’s great getting to meet in person all the people you have been conversing with across the World Wide Web. I’ve been to maybe half a dozen #HBTweetups, so while the long winter nights were taking their toll last month, I decided to organise one myself. 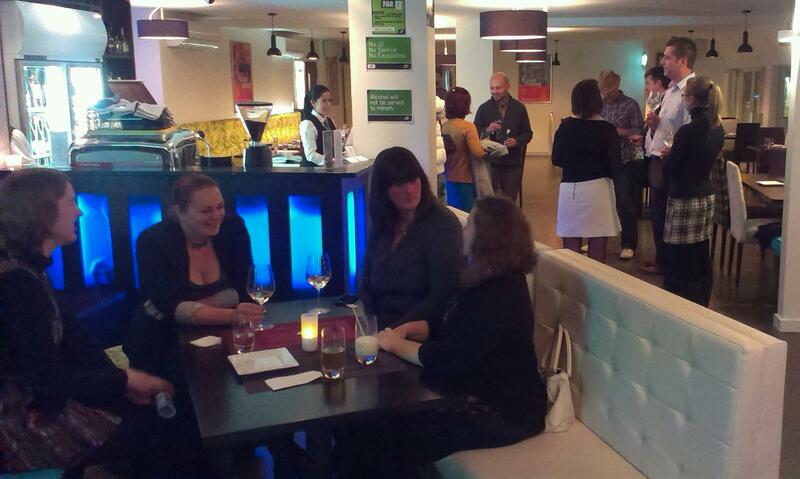 Below is my step-by-step guide to organising / hosting your own Tweetup! Most of the Tweetups I’ve been to have been at restaurants or bars. It makes sense really – they’re relaxed social venues with the added benefit of food and drink, but I’ve also heard of fish and chip Tweetups on the beach and others at bigger venues with themed parties, etc. Newly opened or refurbished establishments and those just entering the social media world are often on the lookout for ways to get their brand out into the Twittersphere, so they can be quite receptive to hosting such events. A venue that has wifi access is a bonus too, as it allows live tweets from the Tweetup. From what I’ve experienced the venue will often provide finger food and the first drink on the house. But this varies from place to place and can quite often be offset by getting attendees to stay for dinner, or join a loyalty programme the venue may be doing. It works out pretty win-win either way. You or the hosting venue might even decide to offer spot prizes, or something similar to sweeten the deal for guests. The hardest part I found of negotiating hosting a Tweetup is you can never be too sure of how many people will come. Sometimes you will get positive responses from 30 people and only 12 will turn up to the event. You can also have 20 people respond and end up with 50 on the day, as word gets around. You may find yourself using the words “ballpark figure” quite a bit. In my case, I tweeted Grant from Napier’s new Viceroy Hotel and Delmonico’s Bistro & Wine Bar and set up a meeting to discuss the possibility of them hosting a Tweetup. Grant was very positive and we set a date. Around three weeks lead-in gives you enough time to get the word out and RSVPs back and get things organised, while still being close enough to attract and keep interest. Prepare to Tweet and #Hashtag like you’ve never Tweeted and #Hashtaged before! The easiest way to get things started is to Tweet about it. Adding a “#” (Hashtag) with the events name (Hawke’s Bay Tweetups usually use the Hashtag “#HBTweetup”) is a good place to start. You can track people’s comments and responses using Twitter’s search function and typing in your event’s Hashtag name. Another way is setting up the event through a site like Twitvite, where people can RSVP and see the details of the Tweetup, like we did here. Now spend the next two weeks sending out general or targeted (@ all the local people you’d like to attend) tweets with links to your Twitvite page, hashtaging and generally promoting the living snot out of your Tweetup. Don’t be surprised if you wake up in the middle of the night screaming “Tweetup!” at some stage during this time, it’s perfectly normal. Step Three: The Big Day – Enjoy! You would have confirmed final numbers with the host a day or two before the event for catering purposes and organised any extra bits and pieces that may be required, so all you can do now is sit back and relax! (cigar, slippers and satin smoking jacket optional). A “Tweet-wall” is a neat feature where those at the Tweetup and those who wish they were can have their tweets displayed usually via a data projector onto a screen. Hawke’s Bay digital wizards Mogul have an application called “Strea.ma” that is set up for just such a purpose. Check it out – it’s very cool and interactive! Most of all enjoy yourself (and don’t forget to invite me)! This entry was posted in Hawke's Bay, Social Media and tagged Hawke's Bay, Napier, Twitter by Andrew Frame. Bookmark the permalink. Great summary there Andrew – hope to make it and see you at one soon.